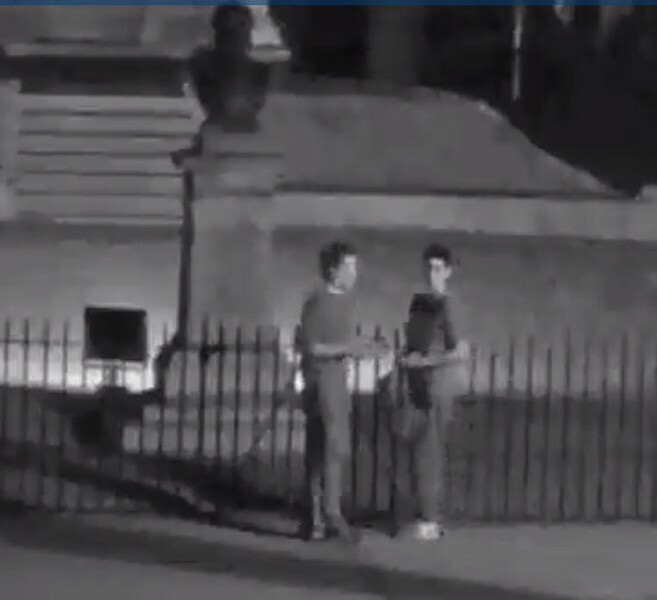 Savannah-Chatham Metropolitan Police investigators are asking for the public’s help identifying two male subjects suspected of a vandalism that occurred on October 18. "Around 11:10 p.m., two white males vandalized a monument in Forsyth Park. Anyone with information on the suspects’ identity or this case is asked to contact police. A confidential tip line directly to investigators is open at (912) 651-6994," police say. Anyone who wishes to provide information anonymously can call CrimeStoppers at (912) 234-2020. CrimeStoppers tipsters may qualify for a cash reward.